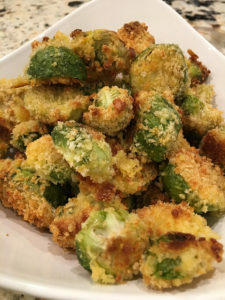 The recipe for the Parmesan Crusted Brussel Sprouts was from Delish.com. We used only half the parmesan cheese that the recipe called for. Either way these are delicious! Preheat the oven to 375 deg. Slice pumpkin in half and scrape out the seeds. 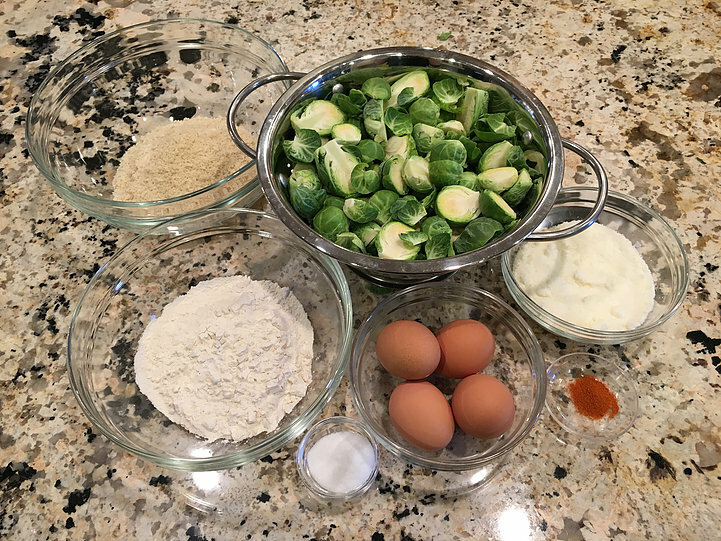 Lay flat, cut side down, on a rimmed baking pan. Add 1/2 inch of water to the bottom of the pan. Cover pumpkin tightly with foil. 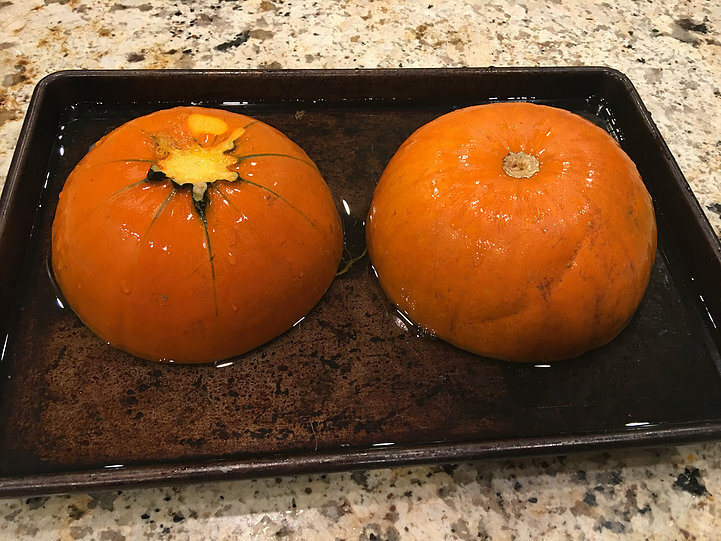 Bake for 45 minutes until pumpkin is tender. Set aside. 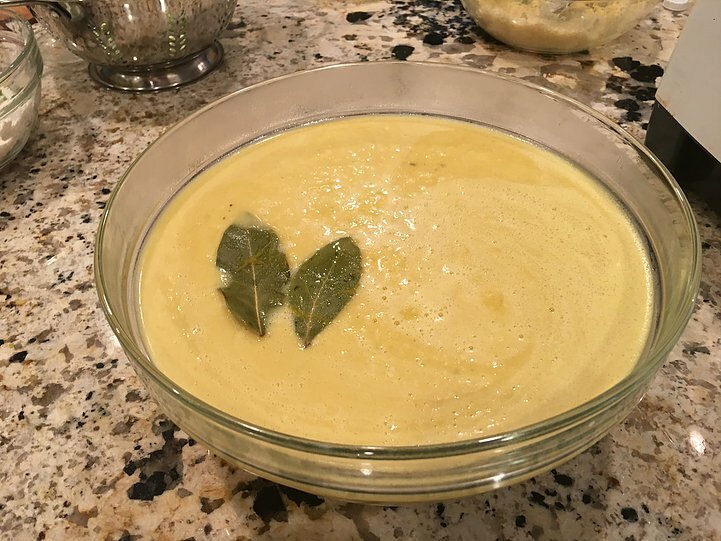 Melt butter in a soup pot over medium-high heat. Add chopped onions and scallions and sauté until onions are golden brown, 10-15 minutes, stirring occasionally. 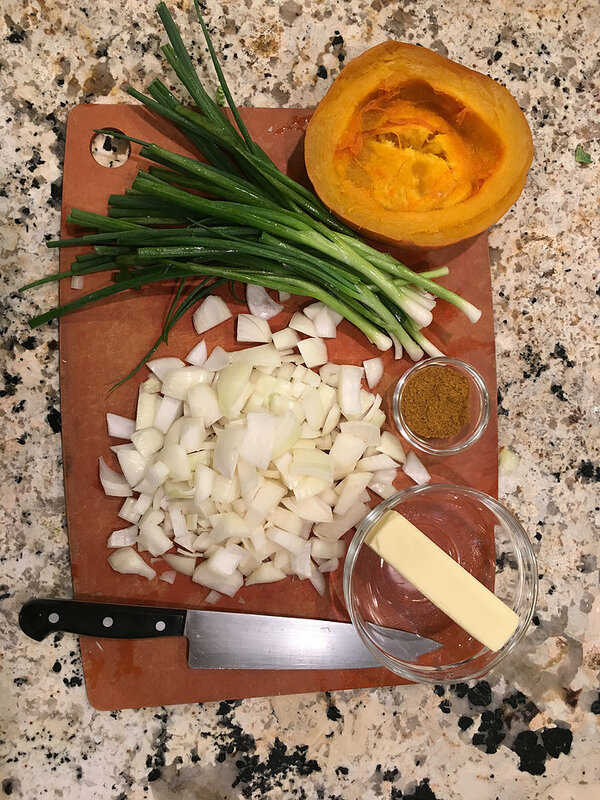 Scoop out cooked pumpkin from the skin and add to the pot or add canned pumpkin. Add remaining ingredients, except half and half, and stir to combine. Bring to a boil. 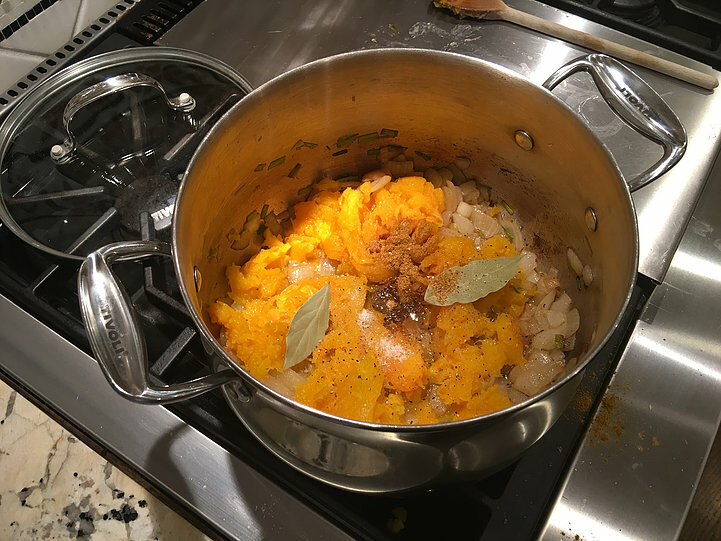 Reduce heat to medium-low and simmer uncovered for 15-20 minutes. Stir in half and half. Add salt and pepper to taste. 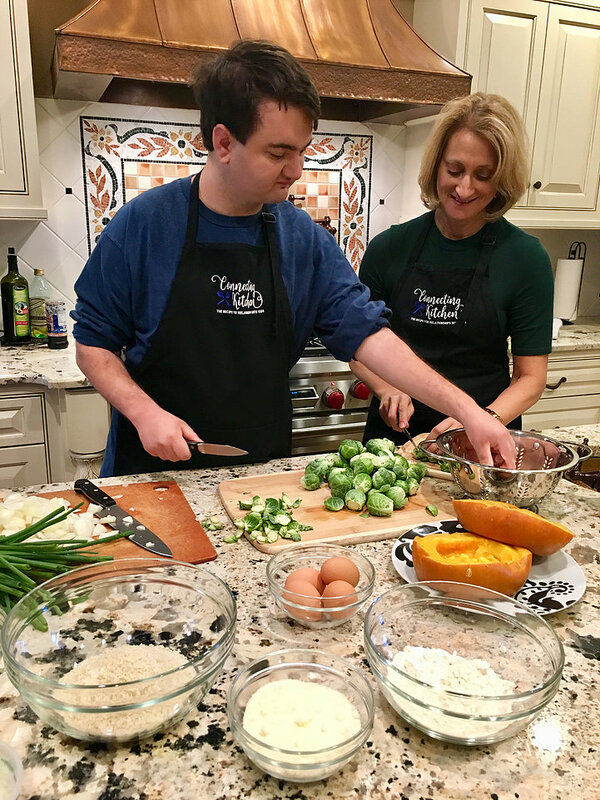 The recipe for the Parmesan Crusted Brussel Sprouts was from Delish.com We used only half the parmesan cheese that the recipe called for. Either way these are delicious!